These free ebooks can be accessed by clicking on the red links. They can be downloaded to a computer, tablet or smart phone, in any of a variety of formats. They have been developed over a number of years and used in small group studies, often with people who have no prior knowledge of the bible. Clicking on the links will take you directly to the publisher's site. 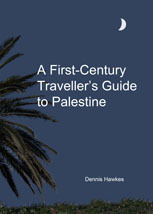 The 1st Century Travellers' Guide to Palestine gives the reader an impression of what it was like in New Testament times. It covers topics such as travelling there, what to see, what people eat, cost of living, what accommodation is like etc. The book is well researched with a comprehensive bibliography. 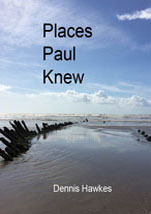 Places Paul Knew describes the cities and towns that the Apostle Paul would have known as he travelled over 16,000 km during the first century AD. Many of the archaeological remains of these cities and towns can be seen today and the book describes what Paul would have seen when he arrived at each place. 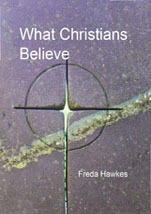 What Christians Believe is a series of studies that allows you to explore the Christian view of God and humans, who Jesus Christ is and what he has done. 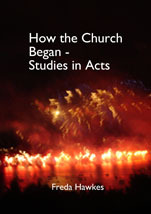 Each study has notes helping you understand the context and the unusual words. You can study individually or as a small group. The Bible from Start to Finishpicks out important parts of the bible, from the first book, Genesis, to the last book, Revelation. Each study has notes helping you understand the context and the unusual words. You can study individually, or as a small group. By the end you’ll have a good idea of what the bible is all about. 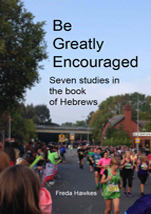 Be Greatly Encouraged examines Hebrews, a letter written in the first century AD to Christians facing difficulties. The writer gives us encouragement, warnings and solid information so we can hold on to our courage, hope, confidence and faith. It teaches us about who Jesus is, what he has done and is doing for us now. 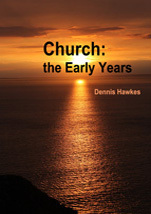 Church the Early Years describes the churches during the first century AD in the Roman provinces. Some are well described in literature others just referred to and yet others simply inferred. 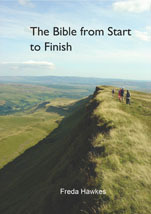 It is hoped that the book will help people understand more about the bible and the Christian faith. 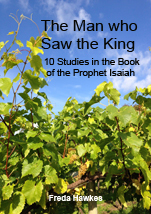 The Man Who Saw The King takes you through the bible book written by God’s prophet Isaiah around 700 BC in 10 studies. Isaiah saw the true King, the Lord Almighty, and wrote warnings, promises, words of comfort and prophecies that Christians see fulfilled in Jesus, the servant King. 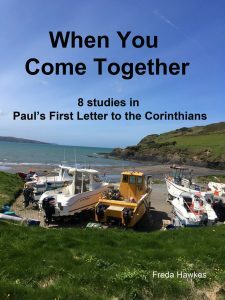 When You Come Together This study looks at a letter written by the apostle Paul to Christians in the first century AD whose lives changed when they chose to follow Jesus. 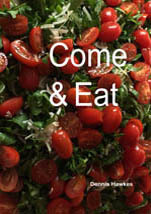 Come and Eat has recipes to suit all tastes, from the simple to the elaborate, from the well tried to the rashly experimental. Many of the recipes are simple and easy to cook using readily available ingredients and you can experiment and change receipes somewhat, why not try something new. 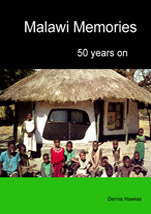 Malawi Memories records a time with Voluntary Service Overseas in 1965. The author spent just eighteen months teaching engineering in the University of Malawi Polytechnic, a little slice of history of Malawi Central Africa. The book has memories of that time aided by a diary and colour slides. 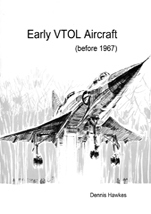 Early VTOL Aircraft is a brief history, up until late 1967, of vertical take-off and landing aircraft. Originally written before the use of computers it contains some interesting photographs of aircraft some of which failed to go into production and others which proved to be successful. 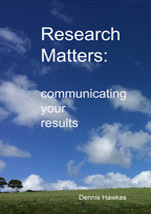 Research Matters is especially for students of science or engineering subjects, but others may find it useful. Topics include writng up some results in the form of a report or a research paper for publication, or to present their results at a conference orally or in the form of a Poster presentation, then in a viva.